There is no denying the fact that contact lenses and glasses are good solutions for your vision problems, but these devices aren’t very practical and may restrict you from enjoying some routine activities. You might have experienced a headache when you use your glasses for hours together. Similarly, it may be hard to complete an extended run with moisture forming on your glasses after short intervals. Contact lenses are a little better, but cannot be trusted to stay on when participating in sports, especially when water is involved. Here are some major reasons for you to consider advanced LASIK surgery and bid farewell to your glasses and contact lenses permanently! Do you miss that feeling of opening your eyes in the morning and seeing the world clearly without having to put on your glasses? Well, you can experience that feeling again with the help of iLASIK surgery. The procedure not only improves your eyesight but may help you get a 20/20 vision. This is true for nearly all patients, whether they are suffering from astigmatism, farsightedness or nearsightedness. Bladeless LASIK corrects your vision through the reshaping of the cornea to give you completely new and clear vision! 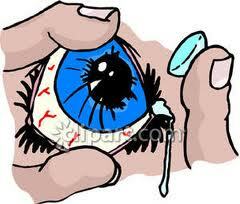 Don’t think of LASIK as an added expenditure because it is actually an investment. Take some time out to calculate the amount of money you have spent on your contacts and/or prescription glasses over the years. You will find that the accumulated expense is probably very close to the amount you would be spending on your LASIK eye surgery, even if you’re getting the most technologically advanced procedure by a very experienced doctor! Though glasses are trending these days but they can make you feel self-conscious on certain occasions. For instance, you may not like to wear them to a fun night out with your friends after office or any other time when you want to highlight your looks without the impediment of glasses! LASIK eye surgery can help eliminate or minimize the discomforts caused by the use of glasses and contact lenses. The users of these eye devices often complain about itching, blurry vision, infections and headaches. LASIK can help you enjoy those happy moments in your life-family vacations, your wedding, parties, running in the park etc. without feeling any discomfort. And if you work with a computer, this eye surgery is all the more recommended for you. With iLASIK, you can forget about those days when you walked around with dry, itchy and red eyes.